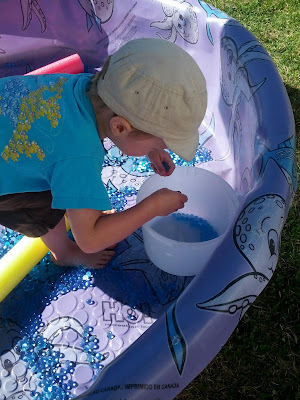 We haven't played with water beads for awhile and K decided to take a really early nap, so J and I headed outside with the water beads. I filled the kiddie pool with the water beads and handed J two pool noodles and let him have at it. The pool noodles are short because I cut them in half for another project (in case you are wondering as you read the post). J started picking up water beads and placing them into the inner tunnel of the pool noodles. He giggled pretty much every time the water bead fell out the other end. 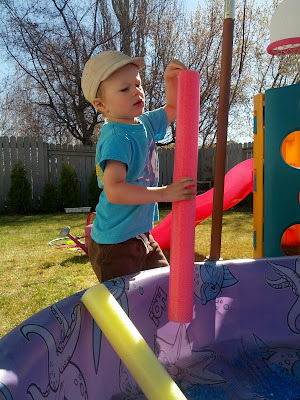 J eventually climbed into the pool, where he continued to put some water beads into the pool noodle. Eyeing up where to put the water beads. Then he jumped around and squished them with his feet. 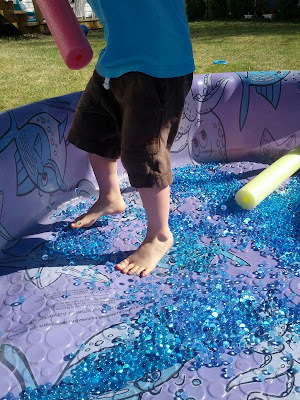 Jumping and squishing the water beads. Once he declared that he was all done, he started picking the water beads up and putting them in our storage container. I also had to take a moment to take a close up picture of the water beads. They look so wonderful with the sunlight on them, don't you think? 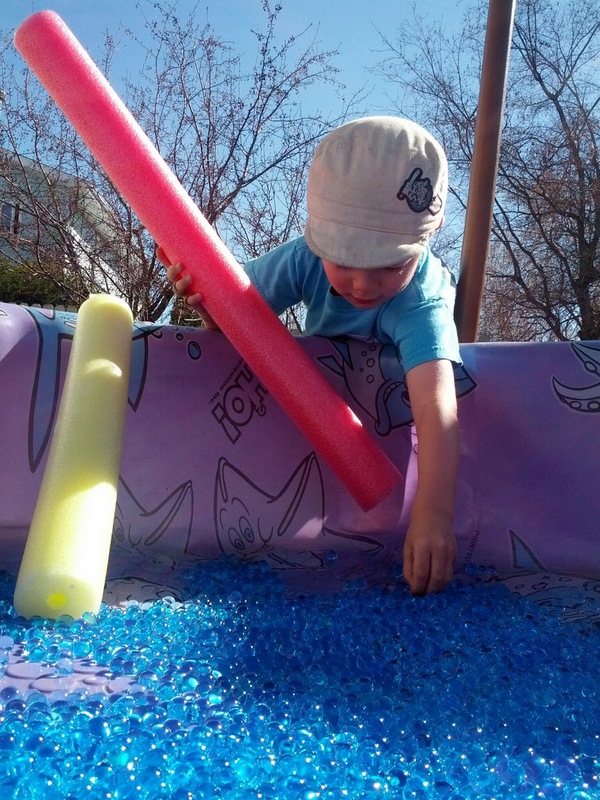 Want more water bead play? 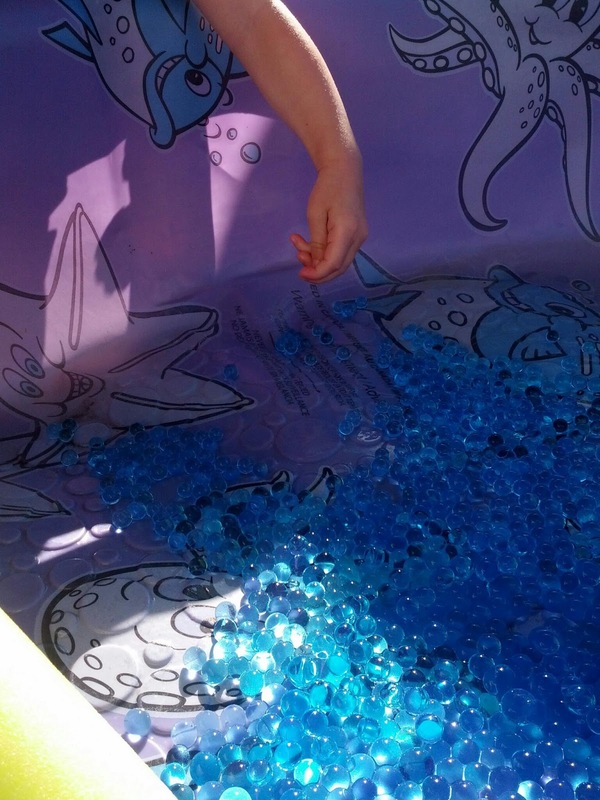 Be sure to check out the other water bead activities we have done. 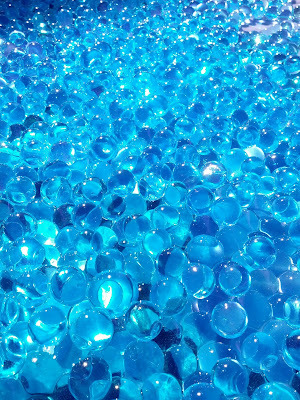 Or follow my water bead board on Pinterest for lots of fun ideas. 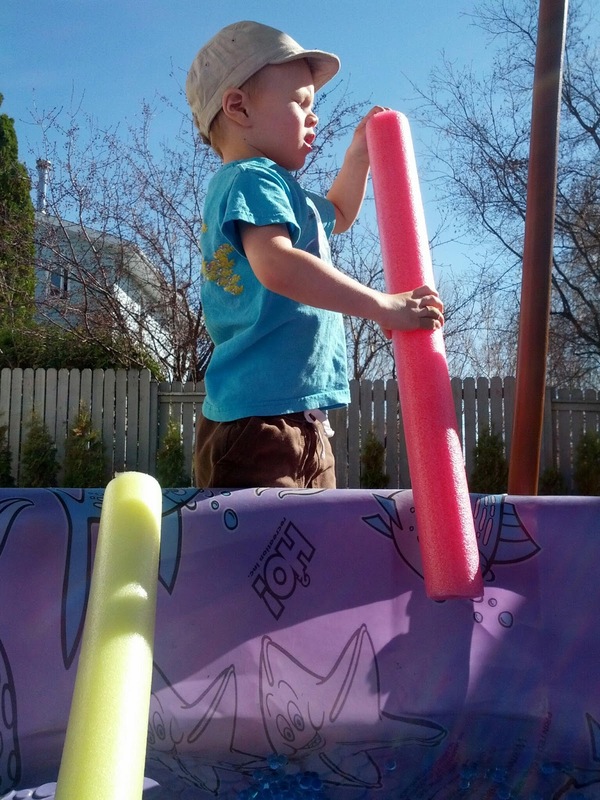 Sometimes the simplest activities can be the most fun! And, yes the water beads do look beautiful. Thanks for linking up to the Outdoor Play Party. 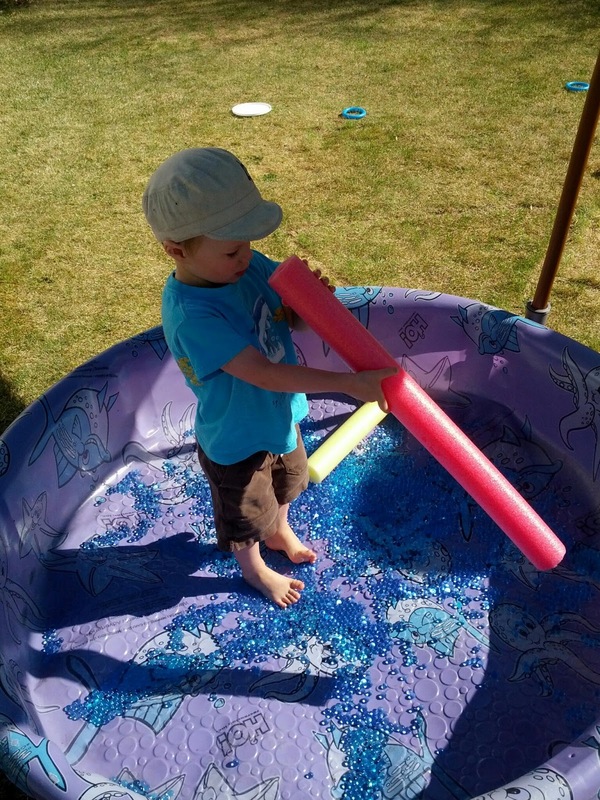 I agree that the simplest activities are often the most fun. Thanks for stopping by!